This edition is an affordable, all-purpose resource designed to support any classroom text. It provides the new rules and amendments and the comprehensive restyling of the rules that took effect December 1, 2007. 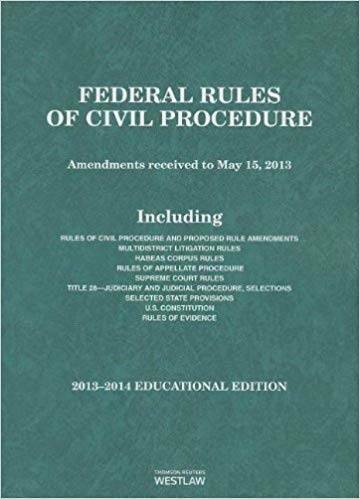 In addition, this edition provides up-to-date versions of the Federal Rules of Appellate Procedure, Rules of Procedure of the Judicial Panel on Multi district Litigation, habeas corpus rules, Rules of the Supreme Court of the United States, Federal Rules of Evidence, the U.S. Constitution, and proposed rule amendments.